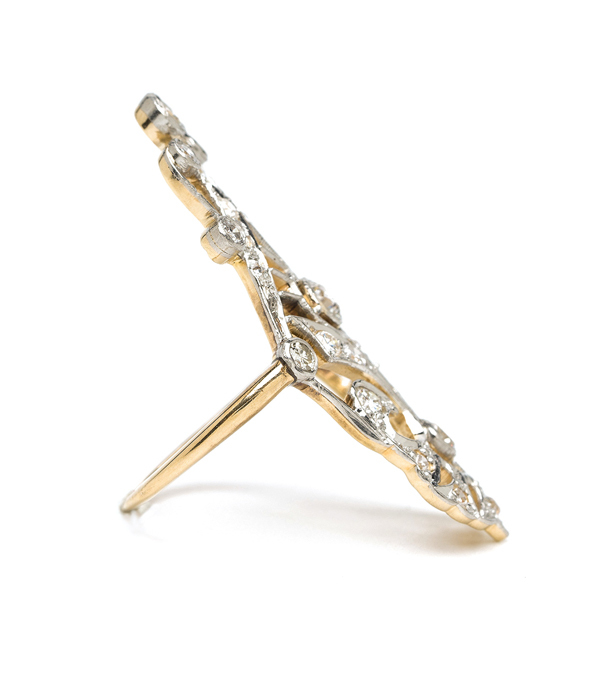 Elegant and edgy, this stunning early 20th century ring leaves little to be desired. 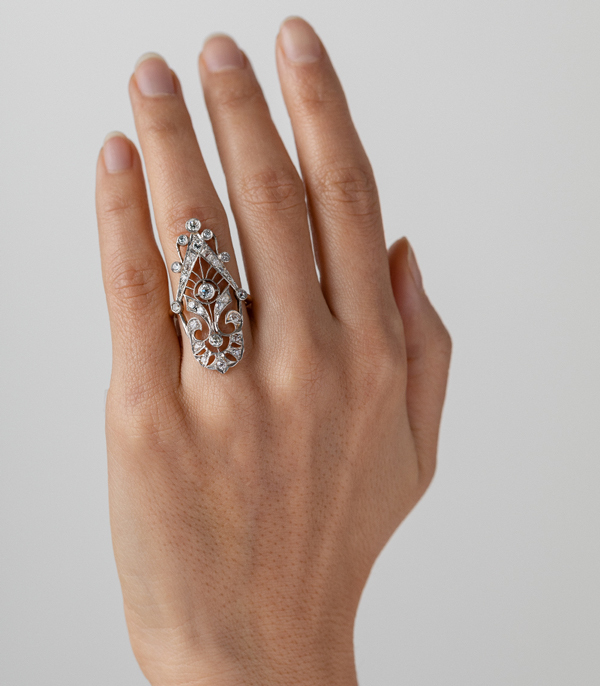 Crafted in mixed metals, 14K white and yellow gold, this statement ring provides excellent finger coverage while keeping a low profile to the hand, and captivates us with its graceful openwork. A lightweight and lyrical scrolling design is set with a combination of Old Mine and Single Cut diamonds on a white gold backdrop, and features a smooth and simple yellow gold shank. 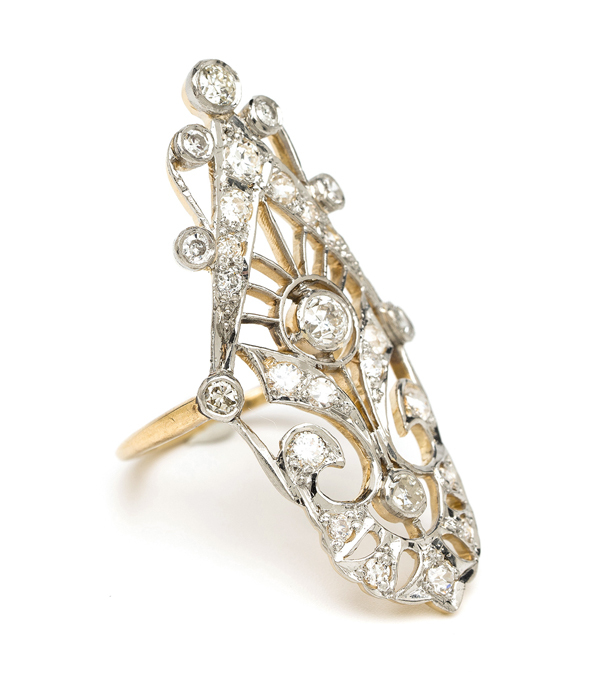 We think this piece would make an exquisite wedding day ring for a vintage loving bride, though we’d happily wear this beauty as a statement ring for any occasion. 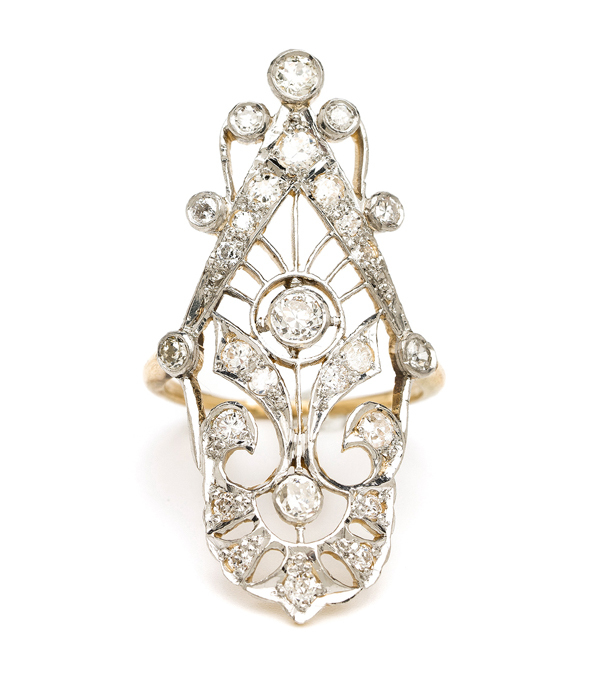 Categories: Antique Diamonds, Edwardian Jewelry, Vintage Dreamer, Vintage Engagement Rings, Vintage Rings.